Solar Holler. Mine the Sun. Finally. Solar without the upfront cost. Going solar doesn't take a big bank account anymore. Solar Holler offers solar financing with no upfront cost, and a low monthly loan payment that looks a lot like your old utility bill. The best part? Those monthly solar payments don't change--even as utility prices go up year after year. Once your loan is paid back, your power is free. At Solar Holler, we're incredibly proud of the work we do. Every system we design and build is nothing less than a work of art. We've brought together a talented, passionate team of designers, electricians, trainers, logistics aficionados, and financial and policy wonks. Our mission is to build beautiful solar systems that will save you money for decades. From design to installation to monitoring, Solar Holler will help you through every step of the process. We'll design and engineer the perfect system for your home and needs, while working with you to figure out a payment plan that makes solar affordable for your family. Then our team of trained, professional, and talented electricians and installers will leave you with a beautiful, reliable solar array that saves you money decade after decade. Across Appalachia, we're working with dozens of families this year to help them mine the sun for clean energy to power their homes and lives. From system design to engineering to affordable financing to installation, we're the experts in helping families go solar with no upfront cost. Whether you're an architect, a mechanic, or a farmer, Solar Holler can help you cut your business's energy bills, allowing you to reinvest in what matters for your business. We work with businesses of all sizes to figure out what makes sense. From design and installation, to deciphering federal tax credits, USDA grants, and utility incentives, we can help. Solar Holler got its start developing award-winning and groundbreaking financing programs for churches, libraries, and other non-profits. It wasn't an after-thought. Helping community organizations do more good is at the center of everything we do. From solar to energy efficiency, we line up the financing, install and maintain the equipment, and work with organizations so that they can devote their resources to their mission, not to electricity bills. For more than a century, Appalachians have given everything to power America. Now it's time for us to do it again, with clean energy. Solar Holler builds training and apprenticeship opportunities into every single project. Through our nationally-recognized apprenticeship program that we launched with the non-profit Coalfield Development Corporation, young people from Mingo, Wayne, Lincoln, and Cabell Counties sit through NABCEP Associate Registered Training Provider, SEI, Solar Holler students can become eligible to take the NABCEP PV Associate Exam; their West Virginia electrical apprenticeships, and an Associate Degree at Mount West Community College (all for free) while learning on the job with Solar Holler. 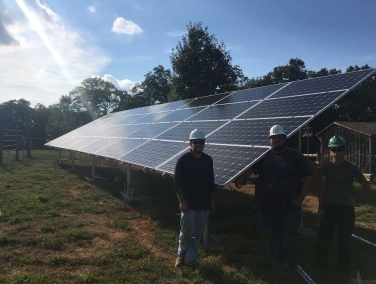 Watch our story to learn more about our crew members who are the first generation of solar installers in Appalachia. 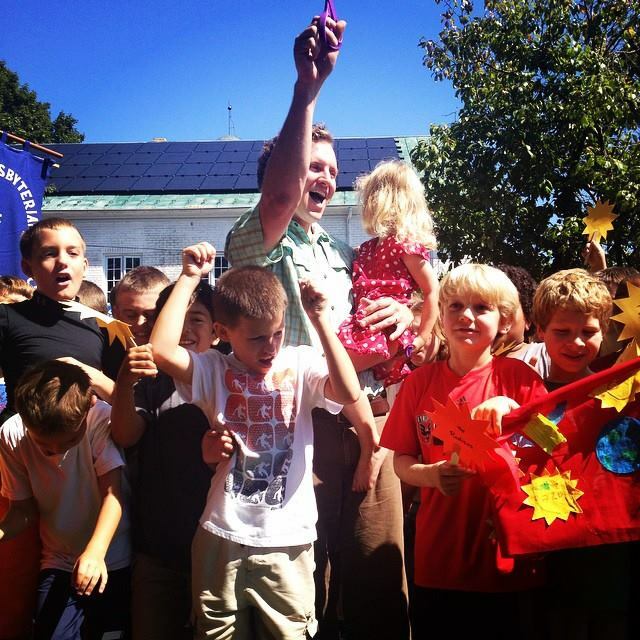 An 8 year veteran of the solar industry, Dan previously helped start up the largest solar installer in Vermont and served as a technical advisor to the US Dept of Energy's SunShot Initiative. He has an MS in Energy Policy and Climate from Johns Hopkins. A native of Monongalia County, WV, Leah's a Mountaineer through and through. She has a Journalism degree from WVU. At Solar Holler, she heads up our marketing and community outreach efforts. In her spare time you'll find her lighting up the stage with her band Funkifly. Our Master Electrician and 20 year veteran of the building trades, David turns his eagle eye for detail on making every installation a work of art, while coaching our apprentices. Before joining Solar Holler, David ran his own independent electrical contracting business in Huntington. After more than a decade of working with environmental non-profits throughout Appalachia, Keena joined Solar Holler to make a direct impact in our communities. She handles the legal and logistical part of your project. Brandon's the one who puts together your analysis and proposal--incorporating every last detail from satellites and your utility bills to design the perfect system for you. After more than a decade in residential wiring and roofing work, Steve joined us to bring our systems to life as one of our master electricians. Cody is an experienced roofer and home builder, and tours around West Virginia with his band. At Solar Holler, he'll come out and plan the finer details of your installation. Born and raised in Fairmont, Elizabeth is a veteran community organizer who has spent her career lifting communities up. At Solar Holler, she'll help you figure out the best system for you. Zach has wired boats and barges, performed maintenance in HVAC and for businesses and facilities. His electrical experience are a great addition to the skilled team at Solar Holler. It takes all kinds to build a new energy industry in Appalachia. Electricians, designers, roofers, policy wonks, financial wizards, project managers, explainers-of-things. Every skill set is crucial. Our team includes 2 master electricians and a journeyman, 2 experienced roofers, a nationally-recognized entrepreneur, an ace 3D modeler and designer, and veteran community organizers. We're a rare breed at Solar Holler. We're a fully licensed & insured electrical contracting firm. But we're much more than that. We've got our finger on the pulse of cutting edge technology, and are the leading experts in solar finance and policy in all of West Virginia (we can decipher a utility bill like no one else). Throw in an obsession with making solar beautiful, and you're just starting to sum up what we are at Solar Holler. After learning the solar trade in his native Southern California, Shay's bringing his skills and talents on a roof to help us here in Appalachia. Laura is a seasoned data wizard and operations specialist . She's done everything from reconciling multi-million dollar budgets at an energy efficiency utility to manage real time electricity trading. She lives in Shepherdstown. 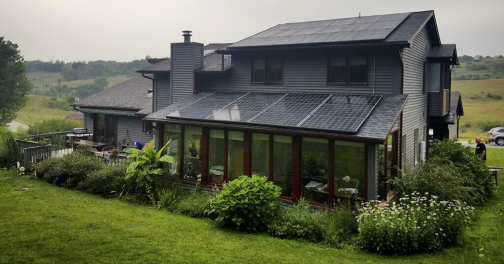 After spending a decade in college admissions, Robyn made the jump into the clean energy industry to help guide homeowners through the process of going solar. She lives in Shepherdstown, where she excels at baking and gardening. SEE WHAT SOLAR WOULD MEAN FOR YOU! Put us to work for you with a free, comprehensive analysis for solar at your home.